"We were unable to access your information please try again"
Your User Name and Password are still in the Login fields. 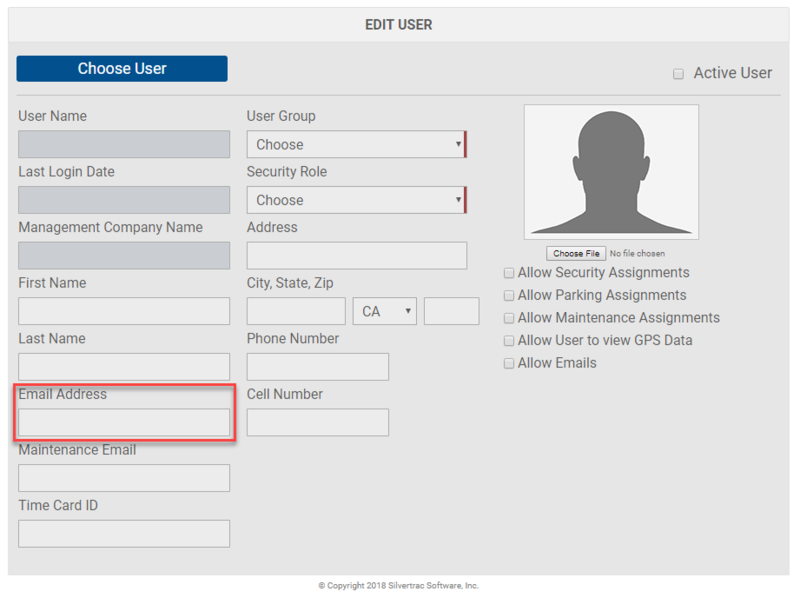 Remove your User Name and password from the Login Fields and ONLY enter your user name in the "Forgot Your Password" field and Submit. The User Profile does not have an email set up in the email field. The system attempts to send the recovery password to the User's email. When there is no email for the system to send the password recovery to the error message is activated. 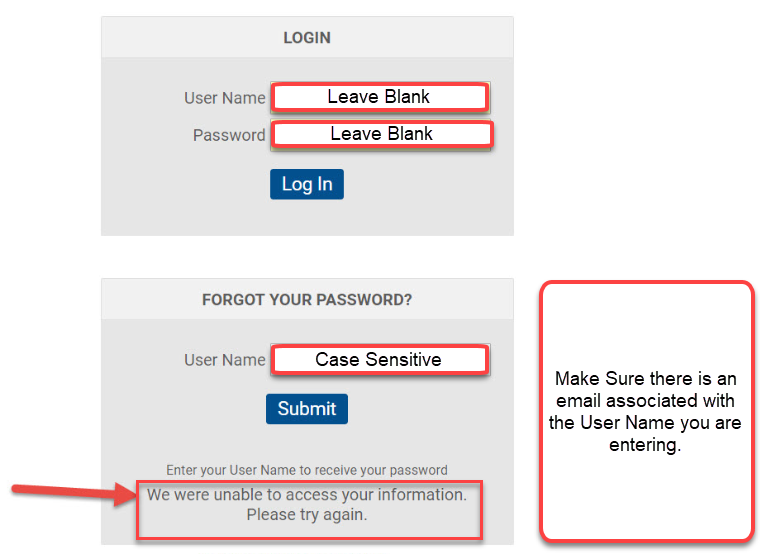 If, after verifying the Login section is blank and that the correct case sensitive User name is entered into the "Forgot Your Password" field, you still receive the "We were unable to access your information please try again" please contact your system Admin to have them reset your password. NOTE: a System Admin cannot change the Password of another system Admin. System Admins experiencing the error message should email support@silvbertracsoftware.com or call Tech Support at 888-505-8722 ext 4 for further assistance in resetting their password.